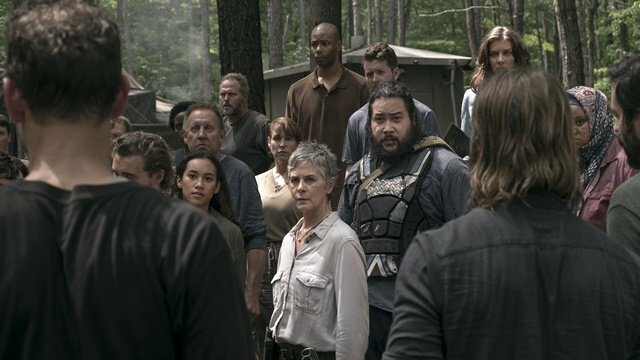 If last week’s episode didn’t fully express the difficulty of building bridges between those that spilled one another’s blood, this week’s installment of The Walking Dead surely cemented it. With the countdown to Rick Grimes’ exit from the series ticking down, the world Carl envisioned remains in extreme danger of slipping through the fingers of the tenuous alliances. Rick decides to take a family fun day after visiting Carl’s grave, but his day off is interrupted by the news that Justin is dead. The discovery causes battle lines to be drawn between a group of Saviors and the allied communities at the bridge base camp. The Saviors accuse Anne and Daryl of killing Justin. Both deny the accusation, although Daryl issues his own threat back. Before sparks can fly, Rick arrives to quell the situation. Rick begins investigating Justin’s death with Anne and Daryl. Gabriel lies to protect Anne while Rick’s conversation with Daryl shows more separation between the duo’s outlooks on incorporating the Saviors into their future. Rick tells him that killing isn’t the way anymore, citing Daryl’s inability to kill T-Dog after he left Merle for dead in Atlanta. A search party turns up nothing but an ambush from two Saviors on Rick and Carol. The assault fails and Rick, believing in his need to build life rather than take it, takes them back to base camp. Gabriel tells a nervous Anne that he lied to Rick to protect her, but must know if she saw anything after their romantic encounter. She denies seeing anything, including the helicopter, before leaving a sullen Gabriel at base camp. Anne returns to the junkyard and retrieves a radio from a hidden crate. She identifies herself as Jadis to the person on the other side, who demands “an A” of Anne. The situation grows more tense when Arat goes missing during the group’s search. With more of their ilk disappearing, the Saviors left at the bridge are on the brink of desertion. 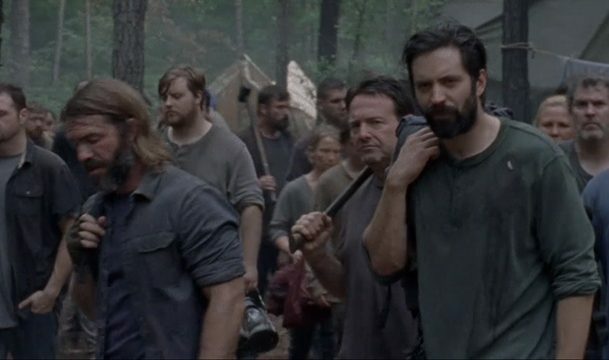 When Rick and Carol are unable to find Arat or Justin’s killer, a large portion of the group leaves the work site. The exit of the majority of the workforce now endangers the effort to rebuild the bridge before the waters rise. 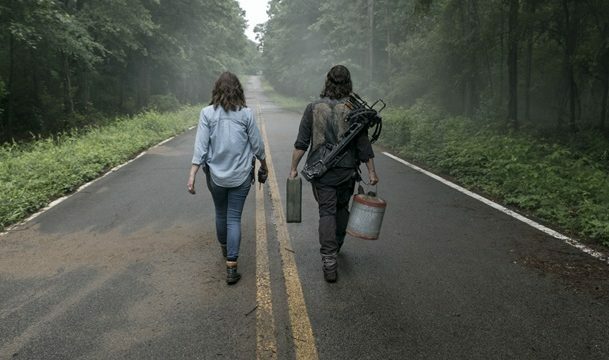 Rick and Carol might not have been successful, but Maggie and Daryl have better luck in their search. Daryl determines that Cyndie and the women of Oceanside are behind the Savior murders after finding a bolt in a walker’s body. The duo confront Cyndie at the group’s former home. Cyndie explains their actions, recounting how the Saviors, including Justin and Arat, overran their camp and executed Cyndie’s eleven-year-old brother while smiling. While Rick’s rules don’t allow such crimes of vengeance, Maggie’s execution of Gregory showed her that Rick’s rule aren’t the only rules. Arat pleads for her life as Maggie and Daryl turn and walk away from the group, allowing Arat to be executed. 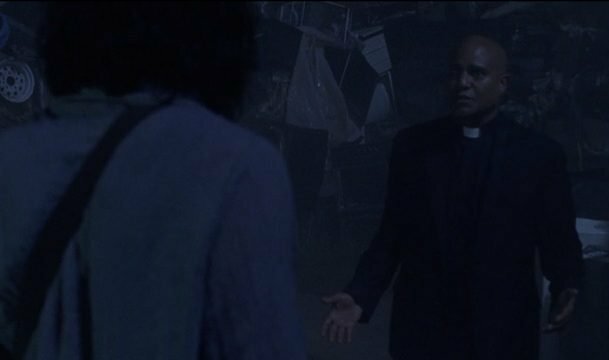 The two emerge from the woods acknowledging their belief that Rick’s way isn’t working for them. The two set a course for Negan’s cell in Alexandria with dark intentions. 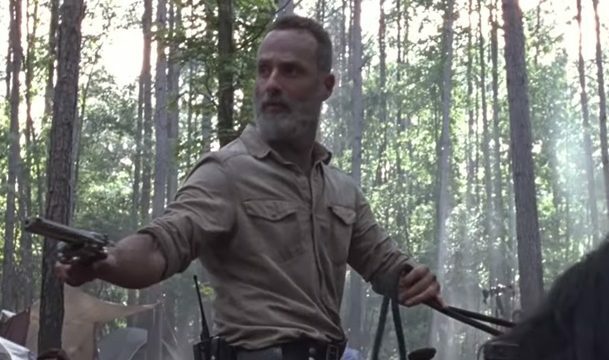 What did you think about The Walking Dead season 9 episode 3? Let us know in the comment section below!